USITEMP2: Victory Gram Republic forces attempt to take Kalithea (near the coast) to divert some of Natan forces from the rest of the frontline. About 10 men + a tank (a Stuart) are sent there. Natan forces send in a few men, a halftrack, and a plane (a Stuka) which makes short work of the tank. VGR forces are quickly disposed of by Natan ground forces, so it's a win for Nata. VGR then sends in 2 P39s to deal with the Stuka, and Natan forces sends in 3 more Stukas and 2 FW 190. Dogfight ensues. 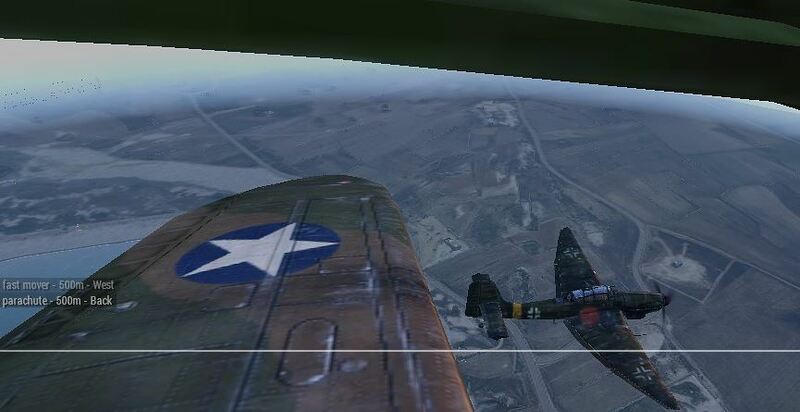 VGR's 2 planes manage to shot down most enemy airplanes, but in the end, is still driven off. 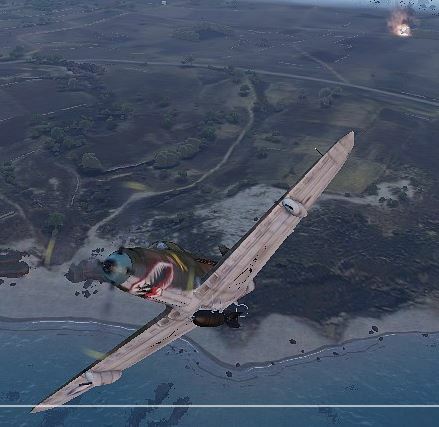 Meta: I died a few times to that damn Stuka. Then my tank was blown off once or twice. Then despite my best efforts to move stealthily I was shot down by NATO (Nata) soldiers outflanking me in a way I wouldn't have thought possible given I placed their waypoints pretty far from where these guys shot me down. After that the ensuing air battle was pretty fun. The Stuka bombs the Stuart tank. Note the hexagons at the foot of the explosion. This is the crew of the tank dismounting. The tank had exploded but when I got closer, I noticed its frame was surprisingly intact. The whole thing was burning and smoking though. Also, I was shot down by Natan forces near that pylone on the left of the picture. Close air combat. This kind of dogfighting requires me taking my Xbox 360 controller. 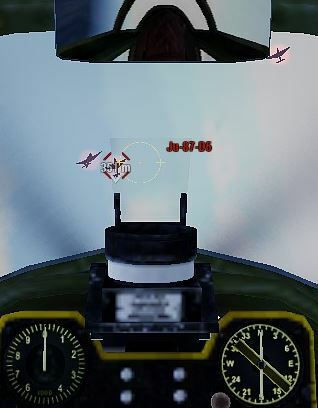 Overshooting the enemy Stukas by a few meters. This P39 just shot down an enemy airplane. Note the explosion in the top right corner of the picture.